Victorian Plumbing is the largest online bathroom retailer in the UK. Founded in 1999, the business started out life selling reconditioned traditional bathroom taps and fixtures and has grown exponentially ever since; now offering over 15,000 brand new bathroom products via their online store. In 2017 they served their 1 millionth customer and forecast a turnover of over £100 million for 2017/18. 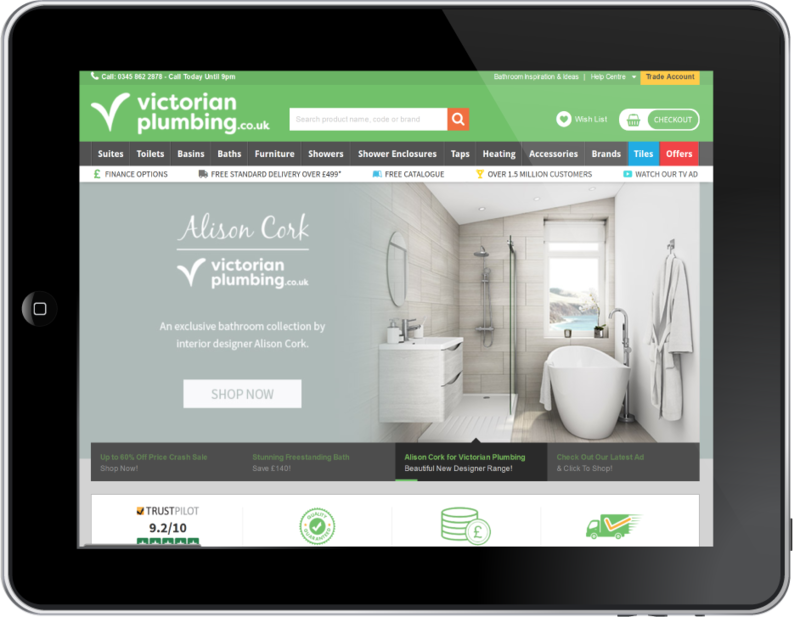 As a major online bathroom retailer, Victorian Plumbing's digital marketing team are familiar with the golden rule of e-commerce: optimise, optimise, optimise. From browsing and ordering, to receiving goods, their key aim is to make the whole process as smooth and reliable as possible for potential and returning customers. We spoke to Alex Woods, Digital Marketing Executive at Victorian Plumbing, to understand how his team is benefiting from making PostCoder a part of their business. Victorian Plumbing needed to improve their checkout, and were looking for a solution that integrates easily and seamlessly, and would help their users to complete the checkout phase. Address forms can be tedious for users to fill out, and can be frustrating if a user struggles to fit their address into a form. Frustrated users are much more likely to abandon their purchase and shop elsewhere. Lookup and verification tools take this hard work away, allowing new and returning customers to breeze through this part of a checkout with confidence. PostCoder was integrated to speed up the conversion process and assist in the user journey without compromising on data quality. 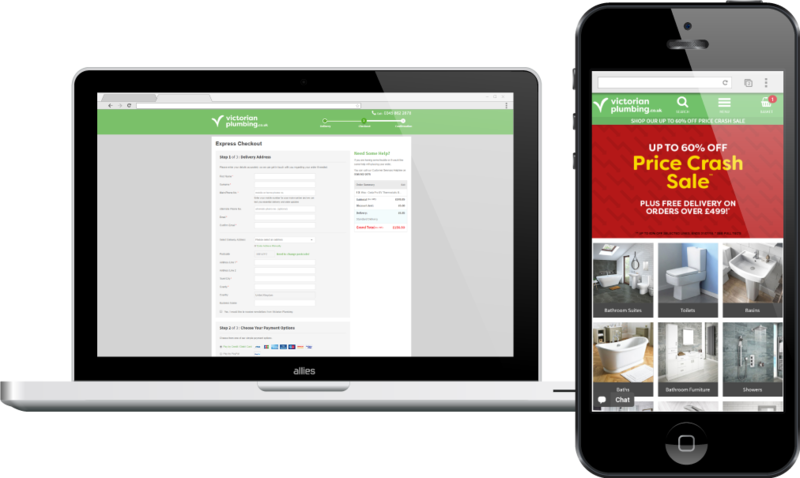 Asking for a postcode from the user is the first stage in Victorian Plumbing's checkout, allowing the site to immediately calculate delivery charges for the order and offer a selection of delivery options. “Having a more simplified checkout page with the help of PostCoder has had two major benefits to our business. One of these benefits has been faster checkouts by customers who haven't had to type in their full address which has made their customer journey easier and faster. A seamless user experience at the checkout leading to quick and easy conversions, meaning better conversion rates and more stunning bathrooms being delivered across the UK. With PostCoder's address database being updated every day, additional UK address datasets included at no extra cost, and intelligent typo handling, all customers have the chance to benefit from a speedy checkout. With the ecommerce experience running smoothly, Victorian Plumbing expect to have their biggest year yet for turnover. Time to renovate? Try out PostCoder when you order a new bathroom through Victorian Plumbing.